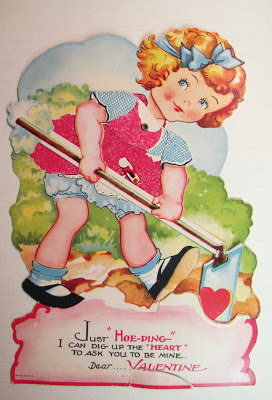 Tip of the hoe to Kylee at Our Little Acre for sending me this card last spring. She saw the hoe and thought of me! Everything "hoe" -- that's me! Happy Valentine's Day! 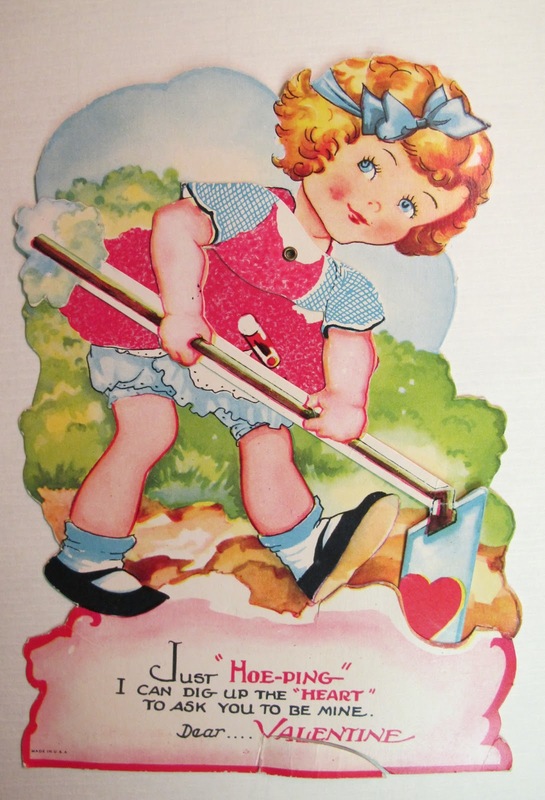 Love the "hoe"ing. Oh that was so sweet, and very nice. On the other side, I realized that our one day difference is soooo long, haha, because i have been checking already a few times if GBBD is already up! Last month, i forgot the date, now I am so early. Belated Happy Valentine's Day! Sweet. Happy Valentine's Day to you too.